PARIS — On the first Sunday of every month, the Louvre transforms from a vast, somewhat overwhelming art museum into an adrenalin-pumping hunting ground. 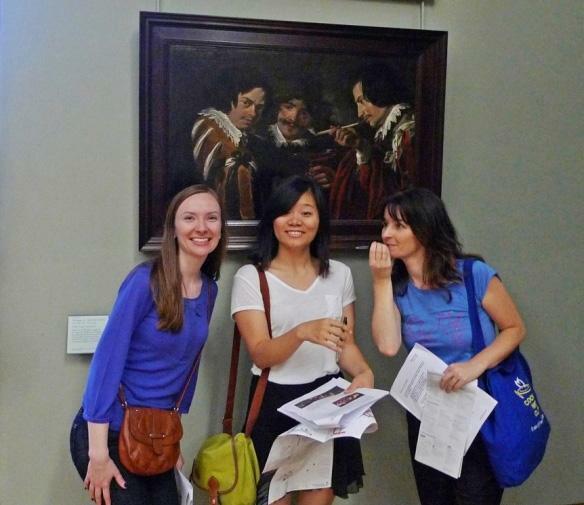 THATLou (Treasure Hunts at the Louvre), created by US expat Daisy de Plume, offers a themed treasure hunt taking participants around the world’s largest art gallery in search of treasure (artwork) in hopes of winning a prize and maybe learning a thing or two along the way. If you won’t be in Paris on the first Sunday of the month, don’t despair: Occasional Friday evening hunts are offered, and private hunts are available. Upcoming themes include Beauty and the Beast(iary) March 3; an Easter-themed hunt March 31; Fish + Water for Poisson d’Avril, France’s April Fool’s Day, April 7; Food + Wine May 5; Angels + Wings June 2; Love + Marriage July 7; and a Bastille Day hunt July 14. Meets at 2:30 p.m.; 18 euros ($24, includes a drink after the hunt). Entry to the Louvre is free the first Sunday of the month, so arrive early. Must sign up beforehand; for details visit www.thatlou.com.